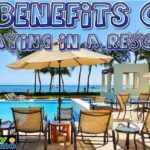 There are plenty of options to choose from when it comes to timeshare resort packages and vacation bundles, but there are a few specific locations that are very popular to go to. Luckily, these destinations are also some of the best vacation spots in the world. If you have been thinking about looking into timeshare resort packages or bundles, then you should definitely check out these destinations and figure out if there is somewhere that you would like to go on the list. Every timeshare vacation company is a little different, so they may not offer all of these destinations, or they may offer all of these and more. But these are definitely the most common ones that you will find timeshare promos for. Orlando, Florida is the first vacation destination that we will be looking at. You have likely heard of Orlando, as it is one of the largest cities in Florida and one of the top tourist destinations in the United States, traveling almost 70 million visitors every year. The reason for that is pretty simple and it all comes down to one word: Disney. Orlando is the site of many of the most famous Disney theme parks including the Epcot Center, Animal Kingdom, Hollywood Studios, and of course, Disney’s Magic Kingdom. But Orlando has more to offer than just Disney theme parks. 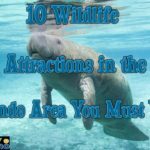 There are actually more than 50 different theme parks and major attractions in central Florida, and one of the favorite destinations to go to besides Disney is SeaWorld Orlando, which is considered by many to be the best attraction in the area. Compared to the other big theme parks, this one’s not too hard on the wallet, has plenty of fast roller coasters and rides (Infinity Falls, offering the tallest drop of water rides – 40 Feet! 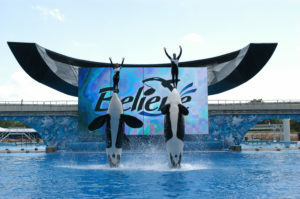 – is now open at SeaWorld! You WILL get SOAKED on this one!). There’s also tons of fun and entertaining shows, so there’s basically something for everyone in the party. You also get a bunch of great dining options, like the Sharks Underwater Grill, and a fun nightlife scene. There are so many things to do that you could live there your entire life and not do everything. Trust us, we know! Check out our Orlando Vacation Packages, some even include tickets to various attractions in the Orlando area. The next vacation destination is Cancun, Mexico. When people think of exotic destinations to lay out on the beach and sip mixed drinks, Cancun is definitely one of the first places to come to mind. It is not difficult to see why, since it’s home to some of the best all-inclusive resorts in the world located in Cancun, like the Sandos Cancun Luxury Lifestyle Resort. There are lots of historical Mayan pyramids and ruins surrounding the area, and a thriving and extensive tourist trade that makes your vacation something truly unique to remember. Cancun has a little bit of everything for everyone. 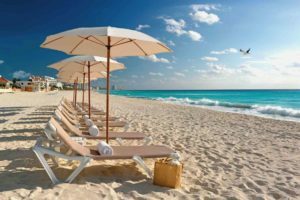 If you are looking for beach time where you can get a tan and read a good book, Cancun has miles of white sand beaches, but they also have thousands of activities happening every day for those who want a little more adventure while on their vacation. Plus, some of the best food in the world is served right in Cancun, Mexico. 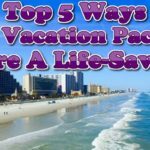 Daytona Beach is another great tourist offering from the Sunshine State. Florida is one of the most popular places to live and visit for a good reason. 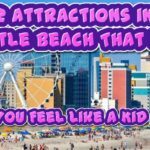 When it comes to Daytona Beach, the area consistently ranks at the top of list of attractions in Florida and it is where everyone flocks to during spring break. If you are a NASCAR or motor sport fan, you will love Daytona Beach. There are always events going on and rallies to attend. But away from the circuit, Daytona Beach is actually a fairly sleepy beach town where you can relax on the sand and just enjoy the sunshine (don’t forget the sunblock, though!). There is also the Angell and Phelps Chocolate Factory, which is not only free to visit but also gives you free chocolate samples which are amazing, the Daytona Lagoon Waterpark, the Kennedy Space Center is just a short drive away, plus a whole lot more. Another great thing about Daytona is that the temperature is perfect for vacations pretty much all year round. Myrtle Beach, South Carolina is another popular timeshare resort destination. Myrtle Beach is perfect for families who want to do a lot of relaxing on their vacation. 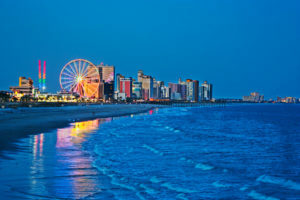 There are not as many attractions, places to eat or fun nightlife events happening in Myrtle Beach like there are in some of the other vacation destinations listed here, but that does not mean the site is not worth visiting. Myrtle Beach has one of the best beaches of any of these cities and if you enjoy water sports, this is the perfect place to go. 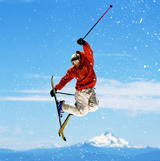 You can spend your time jet skiing, water skiing, boating, fishing or just building castles in the sand. You can also participate in fun events like mini-golf, laser tag and play at the huge video arcades as well as a few amusement parks that are pretty unique among the parks in the United States. For example, the Family Kingdom Amusement Park has some of the biggest thrill rides of any major city. If you have never been to Las Vegas, then you definitely need to go at least once. Yes, it is true that Las Vegas is well-known for the gambling it offers, with huge casinos promising big wins all along the Las Vegas strip, but there is a lot more to Vegas than just slots and card games. 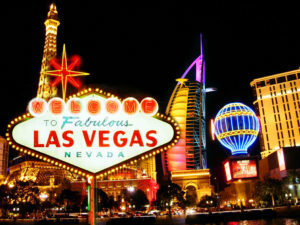 In fact, you can spend days on the strip taking in the sights and shows and never have to resort to spending a dollar on gaming to entertain yourself. Las Vegas also has some incredible hotels and resorts, some of the best entertainment shows in the world, and a whole city outside of the Las Vegas strip for you to check out. Some of the other destinations on this list may be more family-friendly than Las Vegas, but there is no doubt that you will have a good time if you go, even if the kids do tag along. Finally, Branson, Missouri is a popular vacation destination when it comes to timeshare resort deals. The problem is, most people that don’t know of Branson might not think of it as a vacation spot. You would be amazed at what is available there. Some of the best things to do in Branson are the tours. If you are interested in American history, and especially the American West, then you will love the sightseeing tours that are available in Branson. Plus, there is plenty of shopping, eating and entertainment for you enjoyment, as well. Having the perfect combination of a relaxing tourist spot and a rustic wilderness is perfect for couples retreats and romantic getaways. 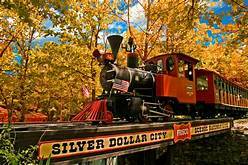 Branson also has the advantage of lower prices than some of the other destinations, too. Check out our 4 day, 3 night deal for Branson. It’s only $99 total! Traveling on a timeshare resort package can definitely save you bundles of cash, there’s no doubt about that. If you’re looking for huge savings and don’t mind attending a short two hour tour of the resort, these are deals to check out. You will end up saving hundreds of dollars and up to 80% off your hotel stay and maybe get some Orlando attraction tickets thrown in with our StayPromo vacation packages. If you have any question about any of the deals on our site, give us a call at 1 (888) 407-3849 or send us a Stay Promo Contact form. One thing’s for sure: traveling on a resort vacation will make it much cheaper than booking everything on its own at full price. So Enjoy and Happy Travels!